Uber continues its spree of deep learning technology releases. Since last year, the Uber AI Labs team has open sourced different frameworks that enable many of the fundamental building blocks of deep learning solutions. The productivity of the Uber engineering team is nothing short of impressive: Pyro is a framework for probabilistic programming built on top of PyTorch, Horovod is a Tensor-Flow based framework for distributed learning, Manifold focused on visual debugging and interpretability and, of course, Michelangelo is a reference architecture for large scale machine learning solutions. The latest creation of Uber AI Labs is Ludwig, a toolbox for training deep learning models without writing any code. Training is one of the most developer intensive aspects of deep learning applications. Typically, data scientists spend numerous hours experimenting with different deep learning models to better perform about a specific training datasets. This process involves more than just training including several other aspects such as model comparison, evaluation, workload distribution and many others. Given its highly technical nature, the training of deep learning models is an activity typically constrained to data scientists and machine learning experts and includes a significant volume of code. While this problem can be generalized for any machine learning solution it has gotten way worse in deep learning architectures as they typically involve many layers and levels. Simplifying the training processes is the number one factor that can streamline the experimentation phase in deep learning solutions. No coding required: no coding skills are required to train a model and use it for obtaining predictions. Generality: a new data type-based approach to deep learning model design that makes the tool usable across many different use cases. Flexibility: experienced users have extensive control over model building and training, while newcomers will find it easy to use. Extensibility: easy to add new model architecture and new feature data types. 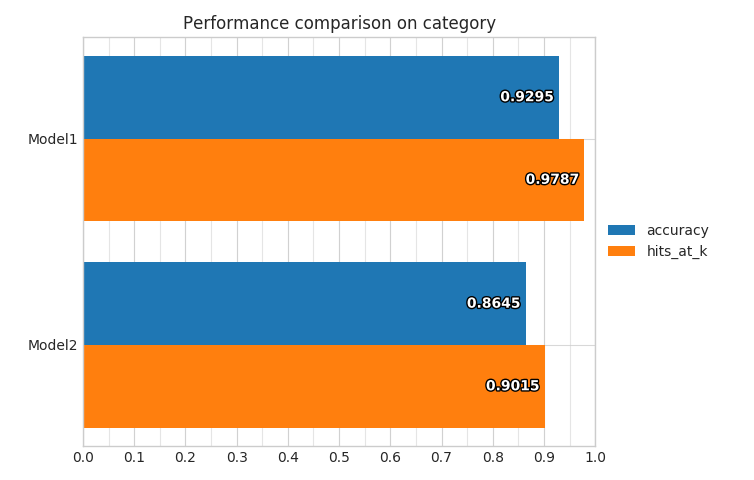 Understandability: deep learning model internals are often considered black boxes, but we provide standard visualizations to understand their performance and compare their predictions. The main innovation behind Ludwig is based on the idea of data-type specific encoders and decoders. Ludwig uses specific encoders and decoders for any given data type supported. Like in other deep learning architectures, encoders are responsible for mapping raw data to tensors while decoders map tensors to outputs. The architecture of Ludwig also includes the concept of a combiner which is a component that combine the tensors from all input encoders, process them, and return the tensors to be used for the output decoders. The flexible encoder-decoder architecture of Ludwig allows even non-experience data scientists to train incredibly sophisticated models. 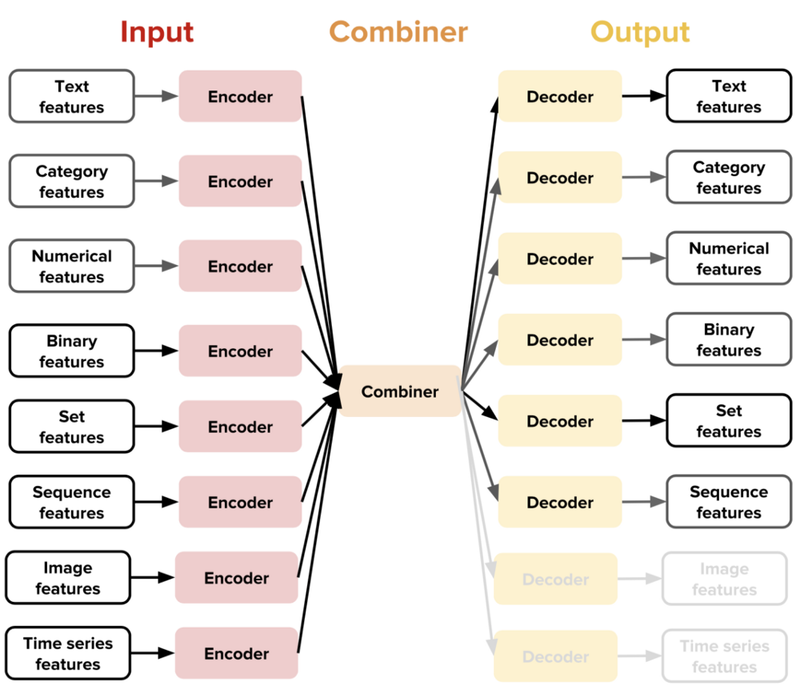 For instance, for a given natural language processing scenario, Ludwig can use a convolutional neural network(CNN) as an encoder and a recurrent neural network(RNN) as a decoder. Those decisions are based on the characteristics of the data and require minimum input from the data scientists. Data scientists will use Ludwig for two main functionalities: training and predictions. Suppose that we are working on a text classification scenario with the following dataset. The next step would be to configure a model definition YAML file that specifies the input and output features of the model. 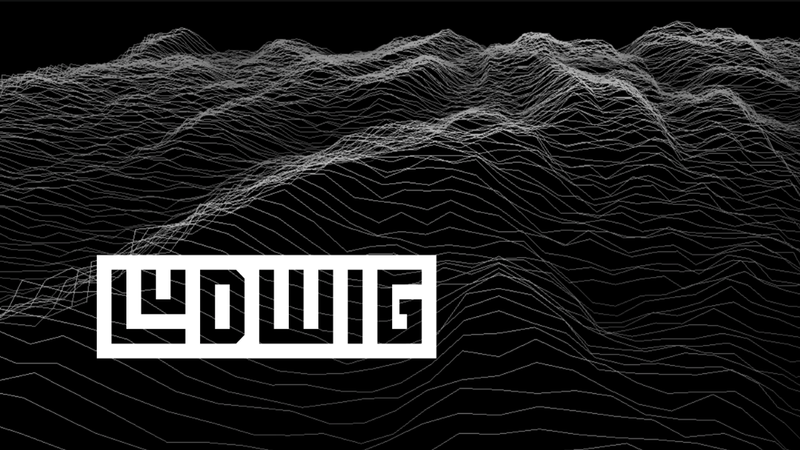 Ludwig provides a series of visualizations that can be used during training and predictions. For instance, the learning curve visualization give us an idea of the training and testing performance of the model. Other visualizations can be used to evaluate the performance of the model. Ludwig is an incredibly helpful toolbox for the training and experimentation of deep learning models. Using Ludwig will allow even junior data scientists to train and test highly sophisticated deep learning models without the need of writing any code. Ludwig’s simple training and interactive visualization processes can drastically shorten the experimentation cycles in deep learning applications allowing experts to focus on fine tuning the architecture of the target models instead of spending countless hours doing repetitive training work.